Today you can jump back a generation and get the Series 3 Apple Watch at a record-low price. Check out this offer and more in our roundup of the top five Editors' Choice deals we found last night and this morning. This week's best phone deals include Editors' Choice prices on the well-reviewed LG Stylo 4 and the 64GB iPhone 8. Earth Day was first observed in 1970 and falls on April 22. Check out our list of confirmed Earth Day deals and freebies for 2019, then treat yourself for being eco-conscious this year. Best PC Accessory Deals: Get A Lenovo Laptop Sleeve for Under $10! You can get a name-brand laptop sleeve for less than $10 in our roundup of this week's best PC accessory deals. Also included is an SSD at an all-time low of $20, and an Editor's Choice discount on a gaming monitor. Tax Day is today, and if you've already filed your Form 1040 — or even if you haven't — you can treat yourself with freebies. Check out all the Tax Day deals you can find today. Macy's offers the Lodie 63" Fabric Loveseat in Grey or Tan for $287 plus $99 for shipping. That's $702 off and the lowest price we've seen. It measures 63" x 37.5" x 32". Subscribe to keep up on the latest videos. There's no official word yet, but your days of returning decade-old sweaters could be numbered. 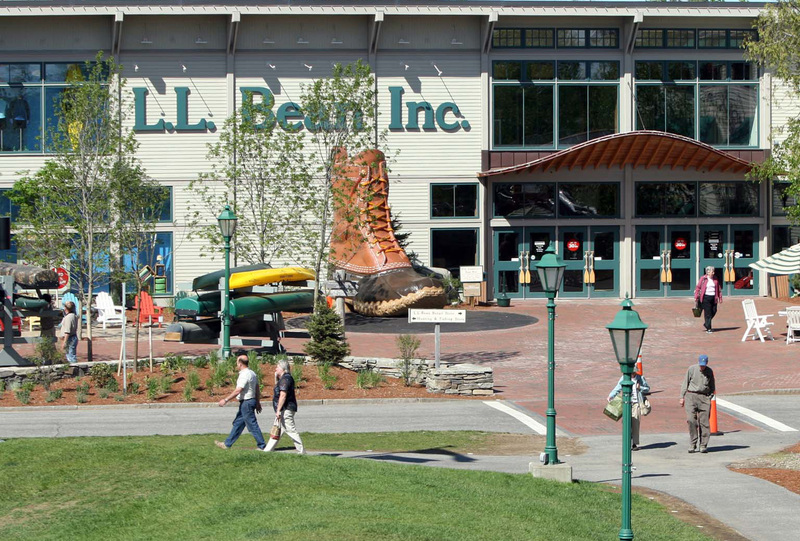 L.L.Bean has built a reputation for quality items and friendly customer service. Currently, the outdoor retailer offers sweet perks like free shipping and generous returns. Unfortunately, the 105-year-old store is taking a hard look at these policies — and it's considering changing things up. Shoppers have long been able to bag free shipping on orders in the US and Canada. Most orders qualify, meaning customers never have to worry about meeting a minimum purchase, or inputting a coupon code. In the continental US, packages typically arrive in two to five business days. Even if it takes the full five days to arrive, there's no denying that truly free shipping is an increasingly rare benefit from retailers. In addition to its uncomplicated free shipping policy, the store has also boasted a return policy that is exceedingly generous. Customers have been able to return items by mail or in person at a brick-and-mortar location for a full refund, even years after the item was purchased. The site states "Our products are guaranteed to give 100% satisfaction in every way. Return anything purchased from us at any time if it proves otherwise." Customers have successfully returned things like 10-year-old sweaters and a live Christmas wreath that had turned brown. Customers have successfully returned things like 10-year-old sweaters and a live Christmas wreath that had turned brown. Stories like that might make it seem like the policy is being abused, and that probably does happen at times. However, abuse might not be as common as some think. Even so, it's easy to see why L.L.Bean could feel like this policy is too expensive to keep. Although there's a lot of talk about potential changes to these policies, there's no official word yet on what those changes could entail. The company is putting other measures into place to cut costs, such as freezing pensions and offering voluntary early retirements. As for the shipping and return services, officials have only said "they will have more to say later this year". Readers, will you continue to shop at L.L.Bean if it does away with its free shipping and generous return policies? Or do you find the item quality worth any possible hassles? Let us know in the comments below. What Happens to Prices When a Store Closes? What is Drop Shipping and What Does It Mean for You? Julie joined DealNews in 2015, after many years of becoming well-versed in technology issues as a communications professional for a software company. She first entered journalism in college, reporting on issues facing frugal students for CollegeCandy.com. Julie lives in DealNews' hometown of Huntsville, AL. DealNews may be compensated by companies mentioned in this article. Please note that, although prices sometimes fluctuate or expire unexpectedly, all products and deals mentioned in this feature were available at the lowest total price we could find at the time of publication (unless otherwise specified). I do not shop at L.L. Bean any longer. Shame what has happened at this company. We stopped buying from LL Bean several years ago when we noticed the quality of their clothing had deteriorated. A generous return policy does not address generally lower quality products. Also, when they dumped MBNA (bought by BoA) for Barclay, we threw their Visa in the drawer. Barclay is amateur hour. But apparently one of their family members might have supported Trump? We'll be looking at buying *more* from LL Bean in the future. We've freed up plenty of Target $. Love LL Bean for exactly these reasons and being able to always have that level of reliability and service. I discuss this all the time with friends and family. Would hate to see it go and would probably purchase items from other places if these "perks" go away. Would be a bummer if they were to change the very things upon which they have built their reputation. My family has purchased L.L. Bean products for as long as I can remember. However, within the last few years I have noticed a much quicker break down in their hiking boots and slippers. Obviously, cost reduction has been active for a while. But, I still find their products worth the price. Once the customer is not their priority, I will quickly shop elsewhere. Costco has a version of the unlimited guarantee. However, when you try to return an item that is older than a few years, you get vigorous pushback. Persistence wins the day, but it is irritating. I think if a company makes a well made product it's worth keeping. Once something changes to make the product even slightly inferior to save the company money, I think it hurts them. However, most companies just don't seem to care when all what matters is they have your money. I guess the TRUMP boycott is working. Supporting TRUMP has it's consequences.